SEO, an abbreviation for Search Engine Optimisation, wherein the number of visitors to a particular website are enhanced by ensuring that the page appears high on Search Engine Results Page (SERP) of a particular search engine like Google. SEO is considered to be an organic way of directing traffic to your website. It works quite simply. Whenever a user types a particular keyword on a search engine like Google, the search engine displays the results that it feels are most relevant to the keyword. In this article, we will decode the metrics of Search Engine Optimisation for you and tell you more about SEO, Sydney. One legitimate question that arises here is, that why can’t a website function without Search Engine Optimisation? The answer to this lies in the internet behaviour of users. Whenever anyone looks for a product or a service, their first point of search is search engines like Google or Yahoo. Promoting your product or service on social media does bring traffic to your website but if you aren’t featuring prominently on Search Engine Results page, you might miss out on wonderful business opportunities. It is for this reason that investing one’s time, energy and resources towards SEO are totally worth it. Content is the king: SEO incorporates both the technical and creative elements. For the creative aspect, Search Engine Optimisation relies heavily on content. Having a 100% unique and non-plagiarized content on your website will work wonders for your website’s position on SERP. Regularly updated blogs and other informative content also play a key role in SEO. This is commonly known as ‘on- page’ SEO. Make site user-friendly: In this busy city of Sydney, people do not have a lot of time to waste. In thus hustle bustle, the way your website interacts with the visitors and users would play an integral role in optimising SEO in Sydney. A website which is easy to navigate and provides clear and crisp information wins the competition on any given day. Use right keywords: Targeting the right keywords is important to make your website appear high on search engines. Carefully single out keywords which are most relevant to your business or service and which users are most likely to type when looking for products or services that you are offering. Off- page SEO: The technical aspect of SEO is commonly known as off page SEO. 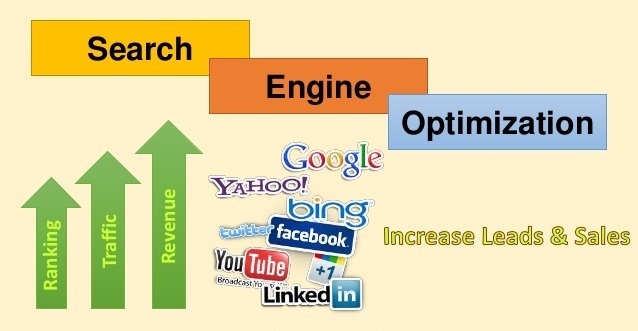 It involves search engine optimisation through tools other than content. One of the major elements of off- page SEO is to optimise the loading page of the website. Slow loading websites are deemed non-user friendly because of which they might lose their traffic. Cache can play an effective role in reducing website-loading time. Cache save the data generated by user’s last website visit so that when they revisit those pages, it loads faster. Apart from this, having inbound links from other websites on your website. Having links to popular websites on your page acts as an authentication certificate of sorts and helps search engine in recognising credibility of your business. While it is true that Search Engine Optimisation can play an integral role in enhancing the reputation of your business and improving the performance of your website, it is important that one must keep their goals realistic. There are tonnes of companies in Sydney that provide you amazing results on your SEO ranking. All you have to do is, select the best company that guarantees to uplift your website’s SEO Sydney. So, do your research well before trusting another company.